Students use paper plates and tempera paint to create a small drum for Chinese New Year celebrations. 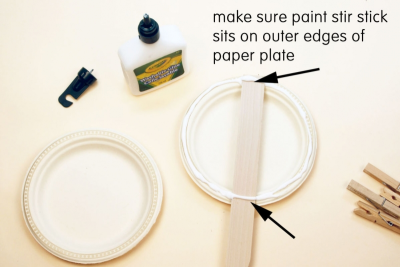 Apply glue to the outer edge of one paper plate. Place one end of the stir stick along the diameter of the plate. Make sure the end of the stir stick sits on the outer edge of the plate. Apply more glue to the top of the stir stick where it touches the plate. Place the 2nd plate on top of the first one. Make sure it is lined up with the edges of the first plate. 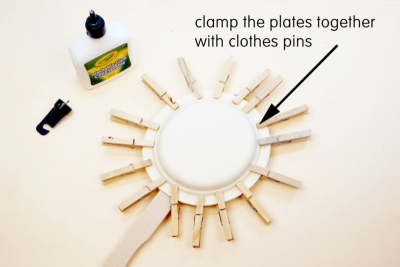 Clamp the plates together with clothes pins. Allow the glue to dry for about 1 hour. 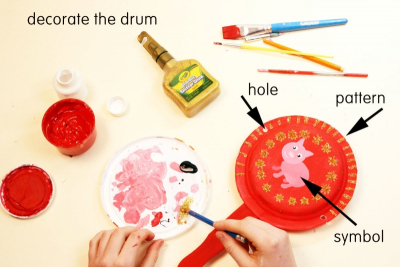 Use paint and glitter glue to decorate the drum. Use a hole punch to make a hole on the outer edge of each side of the drum. Cut 2 strings about 12 cm (5") long. Tie a large bead to the end of the string and add a few smaller beads to make a pattern. Tie the last bead in place. Repeat with the other string. Tie the beaded strings through the holes on each side of the drum. Twirl the handle from side to side so the beads beat the drum. share their ideas with others. perform their compositions for their peers. Review and practice making patterns with a variety of materials. Download and display the Repetition and Form posters available on this website. Gather and make available books about Chinese New Year, for example, Chinese New Year, by Lola M. Schaefer; Dragon Dance: A Chinese New Year Lift-the-Flap Book, by Joan Holub, and Benrei Huang; Bringing In the New Year, by Grace Lin; Holidays Around the World: Celebrate Chinese New Year: With Fireworks, Dragons, and Lanterns, by Carolyn Otto; and Celebrating the Chinese New Year, by Sanmu Tang, and Wu Ying. 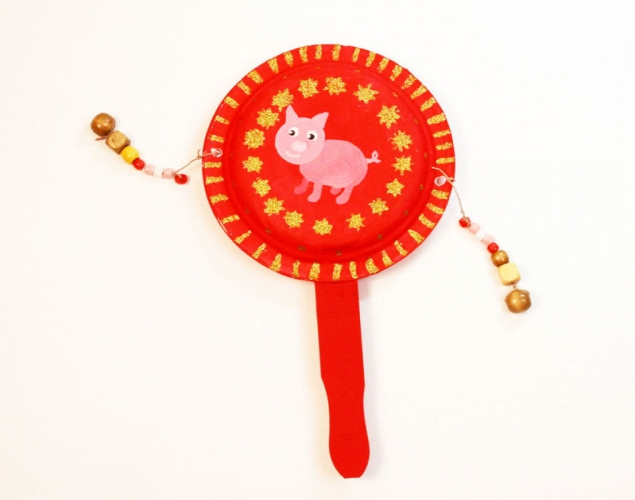 Teach students about Chinese New Year traditions. Make a sample, undecorated drum. Conduct a read-aloud using a book such as, Holidays Around the World: Celebrate Chinese New Year: With Fireworks, Dragons, and Lanterns, by Carolyn Otto. Discuss how the illustrator chose images to represent ideas. Explain that these are cultural symbols. Cultural symbols are found in countries all around the world. They represent something that people in that country feel is important about the country, or part of the country. 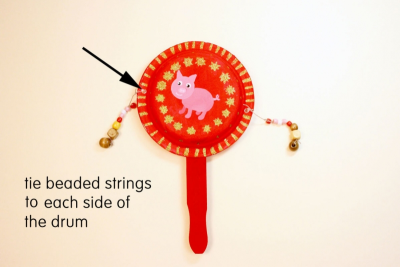 Show students your sample drum and talk about how it could be used to celebrate Chinese New Year. Discuss what kind of symbol would best represent the current Chinese lunar new year. Follow instructions to create a small drum. Paint a variety of patterns on the drum. Paint a symbol to represent the Chinese New Year. Explain the significance of the New Year symbol in Chinese culture. 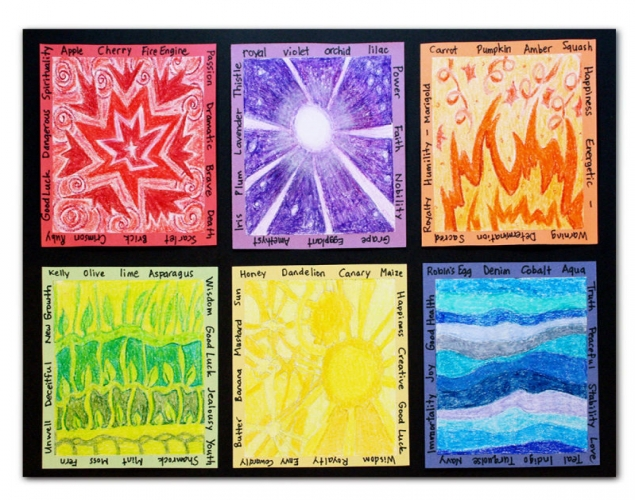 Encourage students to think of how they can use repetition to create different patterns. Once all the drums are complete ask students to share them in partners or small groups. - Look closely at the designs and how they are made. - Talk about how the designs represent the Chinese New Year. - Explain why the symbol they chose can be called a cultural symbol, and why they chose it. - Tell what was satisfying about making the drum and explain why. Talk about how the sound makes them feel. 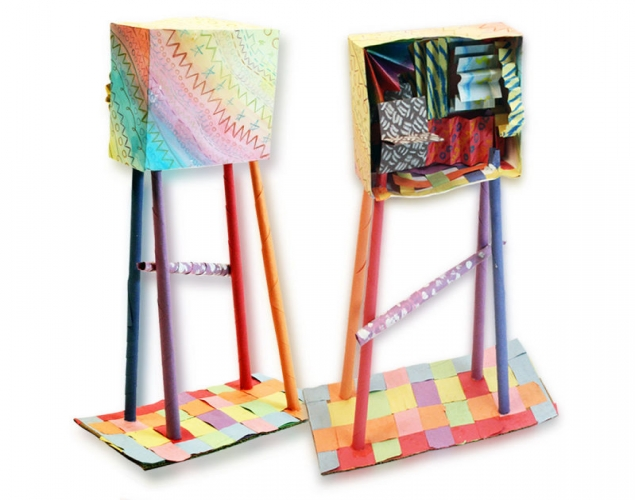 Observe students as they discuss the drums – active listening, insightful contributions, supporting ideas with evidence found in the artwork and from personal experience.